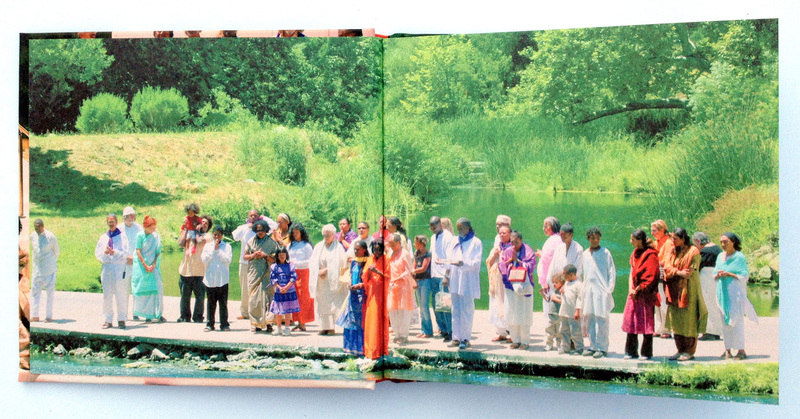 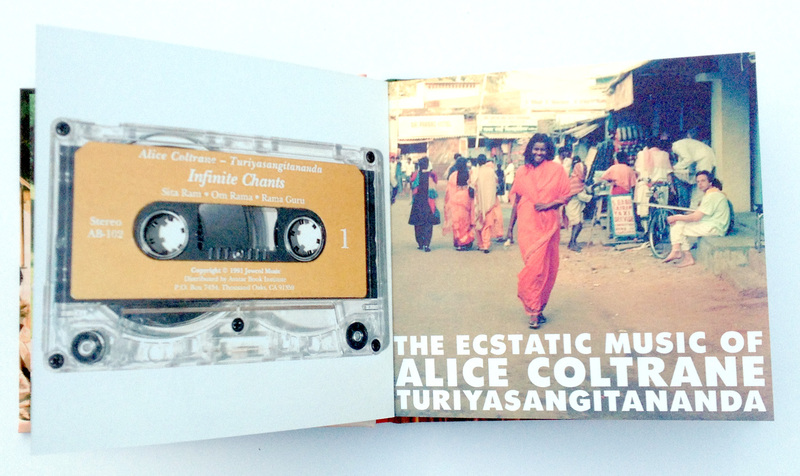 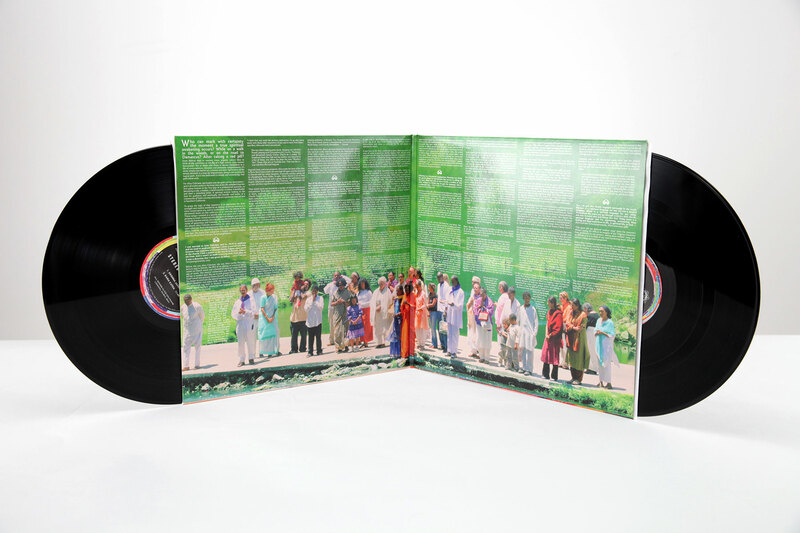 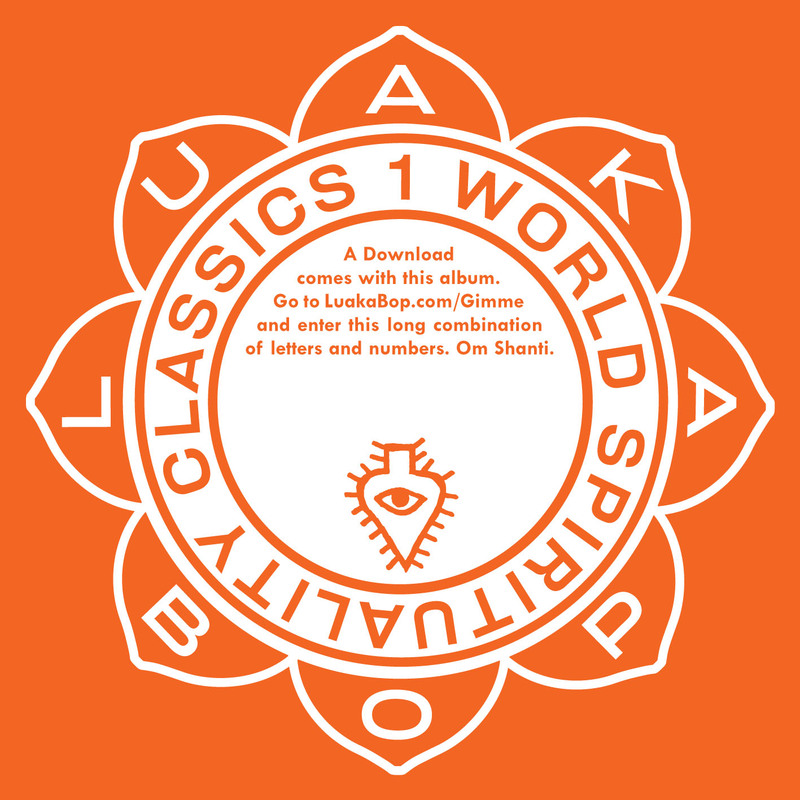 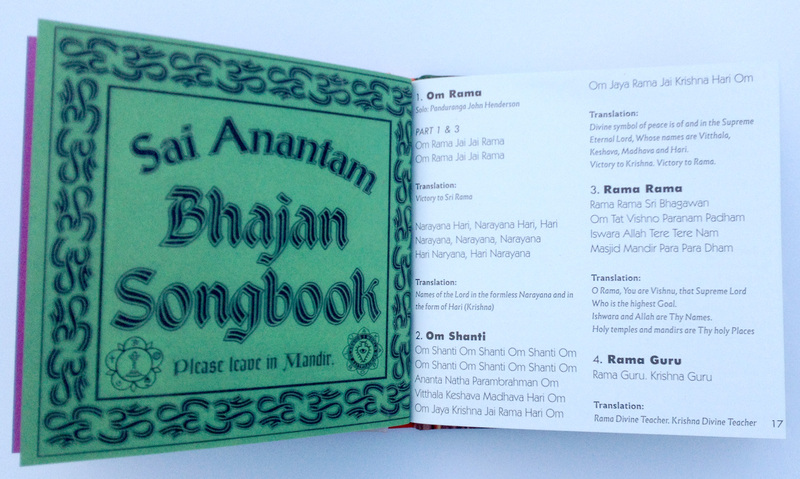 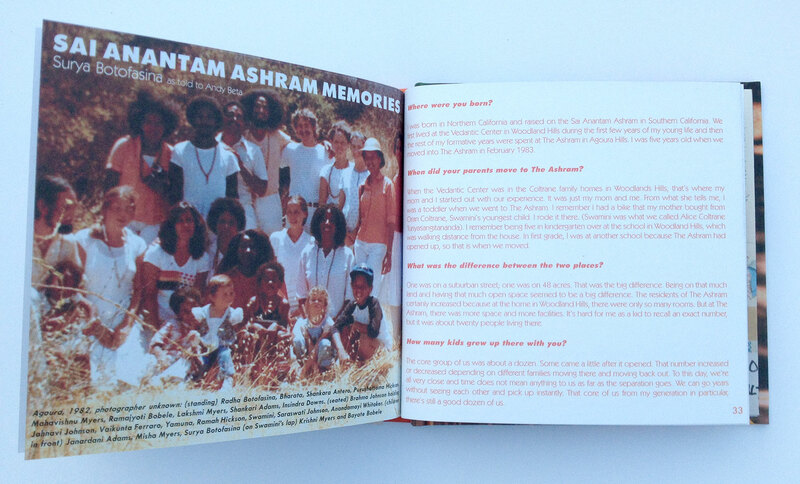 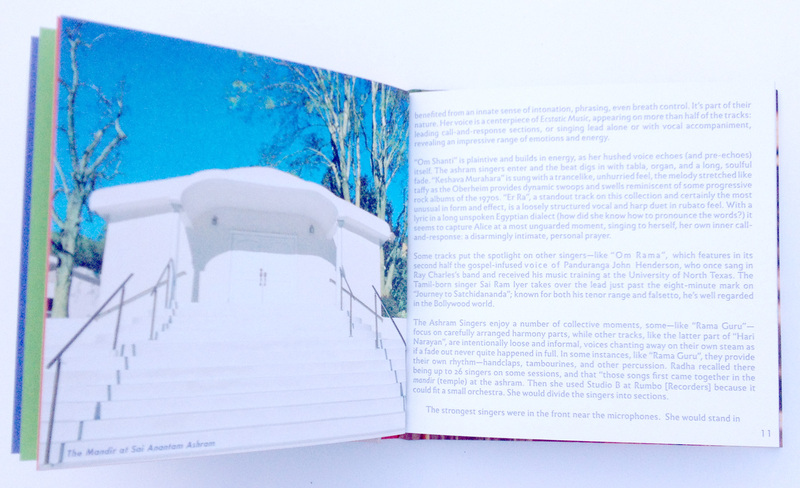 When Luaka Bop compiled some of the best songs that Alice Coltrane Turiysangitananda's Sai Anantam Ashram released in the 80s and 90s, I was asked to do the cover and packaging. 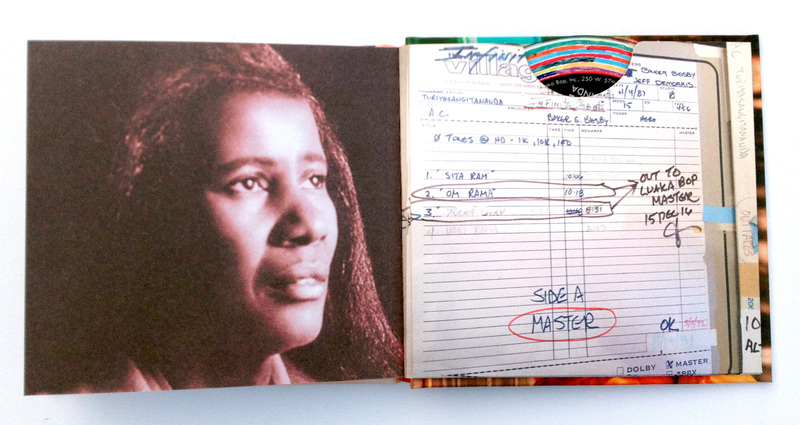 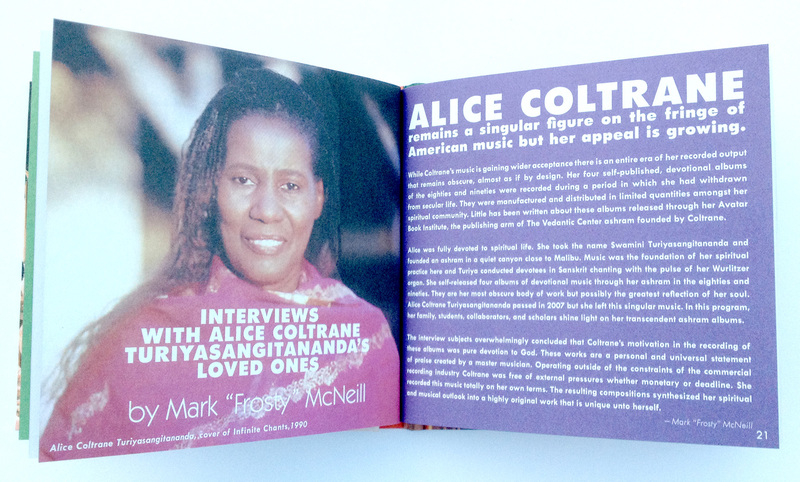 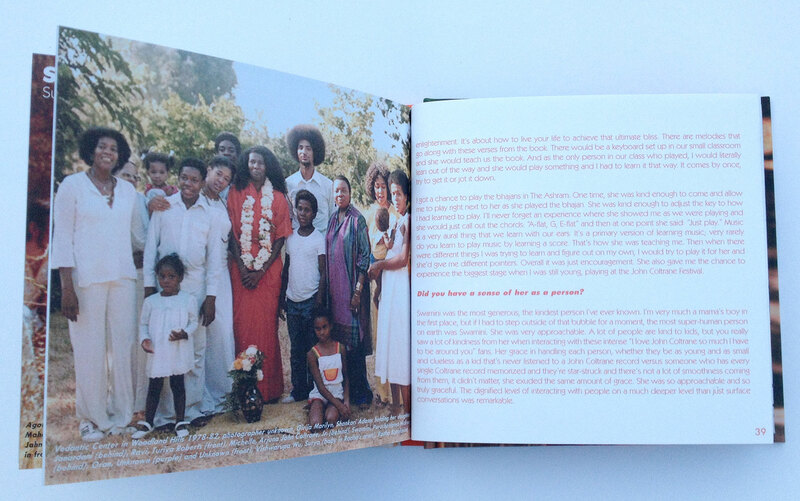 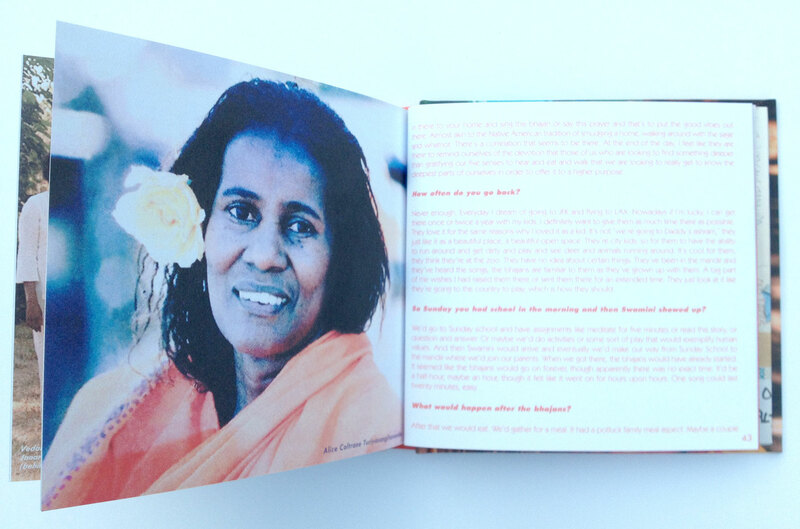 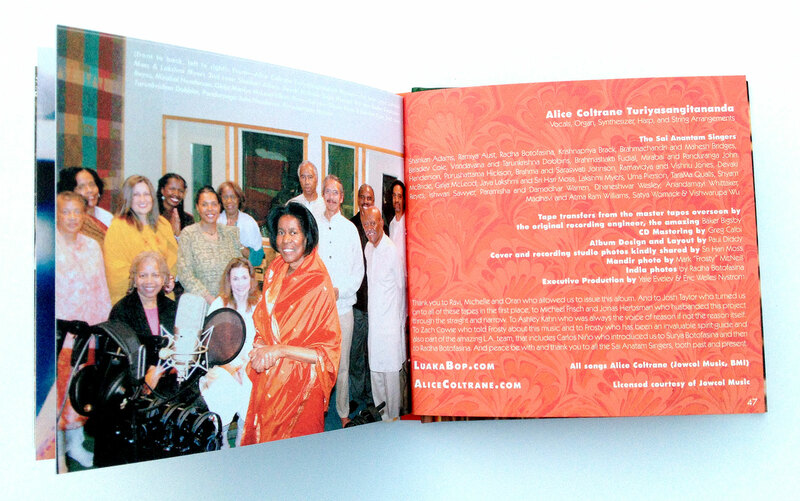 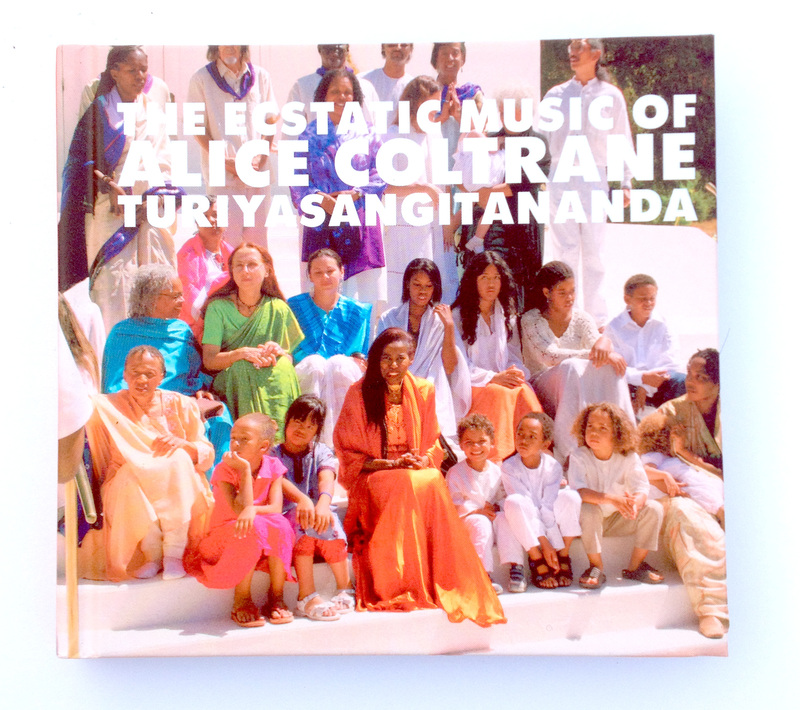 As a long time Alice Coltrane fan, I was thrilled! 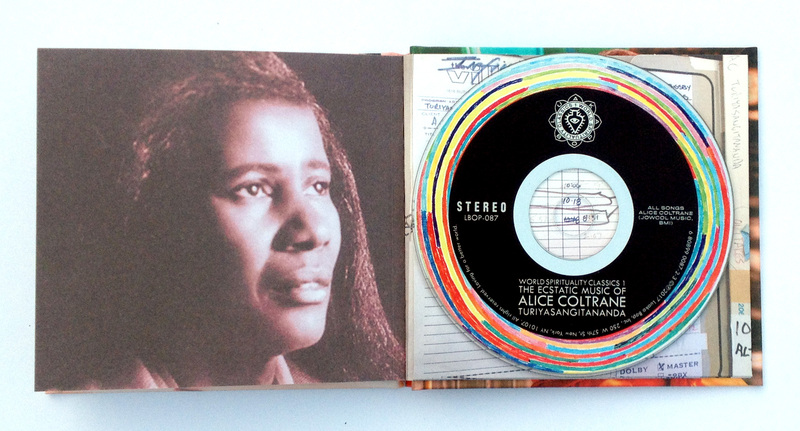 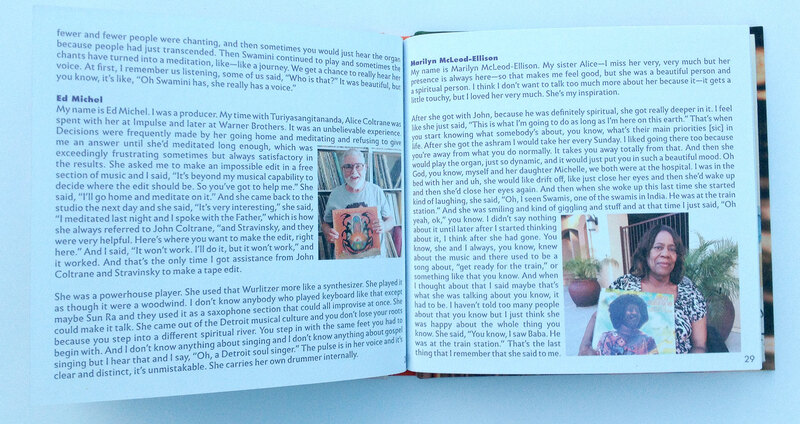 Alice's music has been hugely influential to me, and has also become a part of my life. 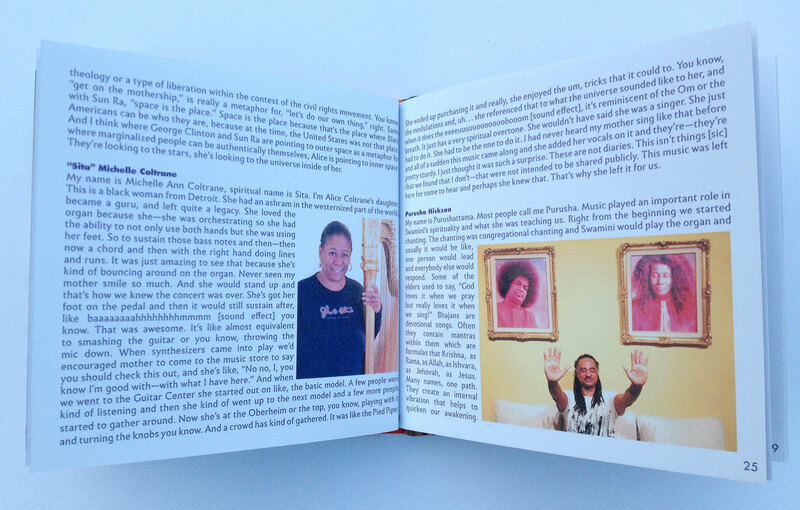 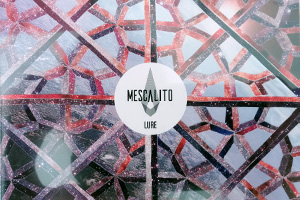 When my son was being born, her music was almost all that we listened to. 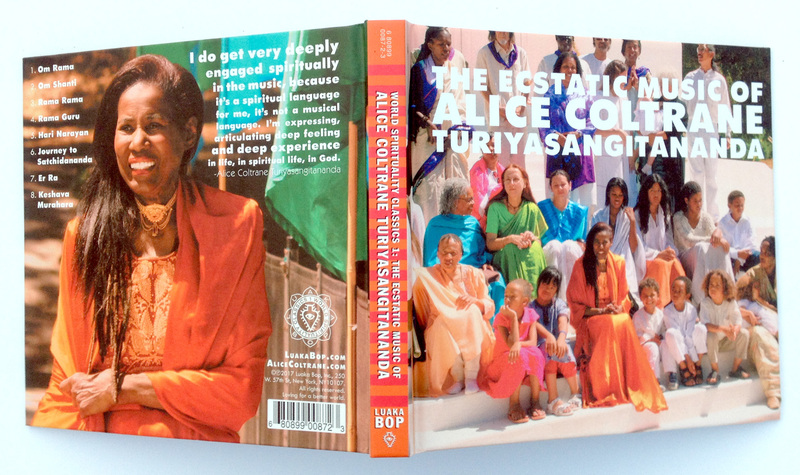 I tried a lot of variations for the cover, but the winner was this reunion photo of her ashram from the early 2000s in which I hyper saturated the clothes and background, and overlaid the title and the logo that I developed for our series. 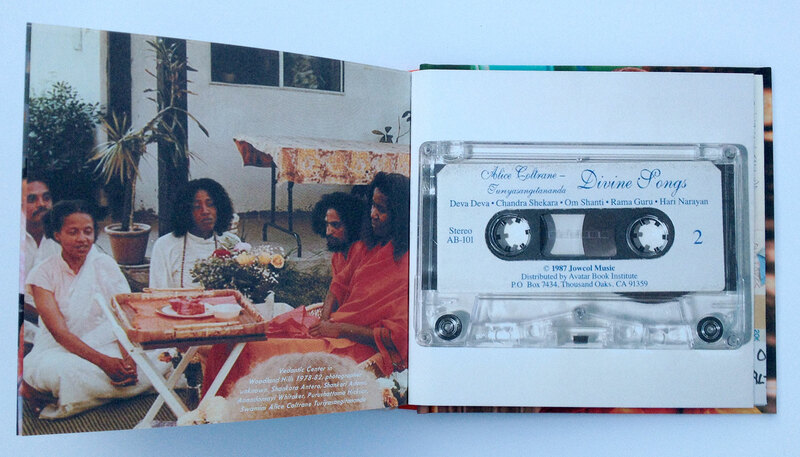 This release was originally accompanied by 2 booklets in the first pressing, and the CD features a 48 page booklet that I layed out. 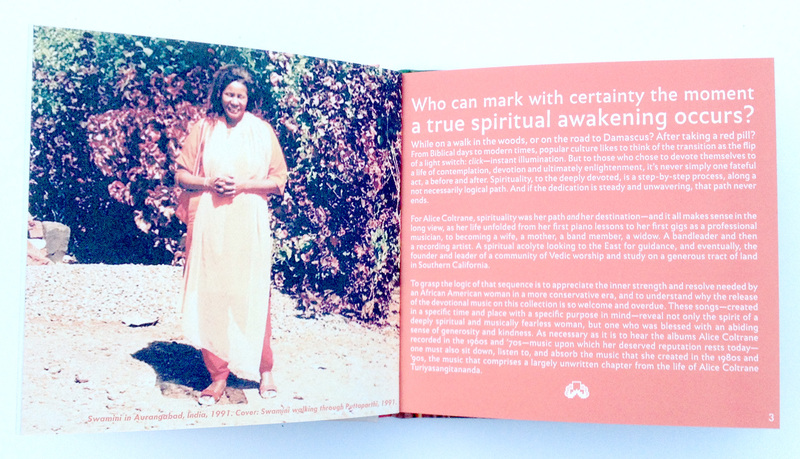 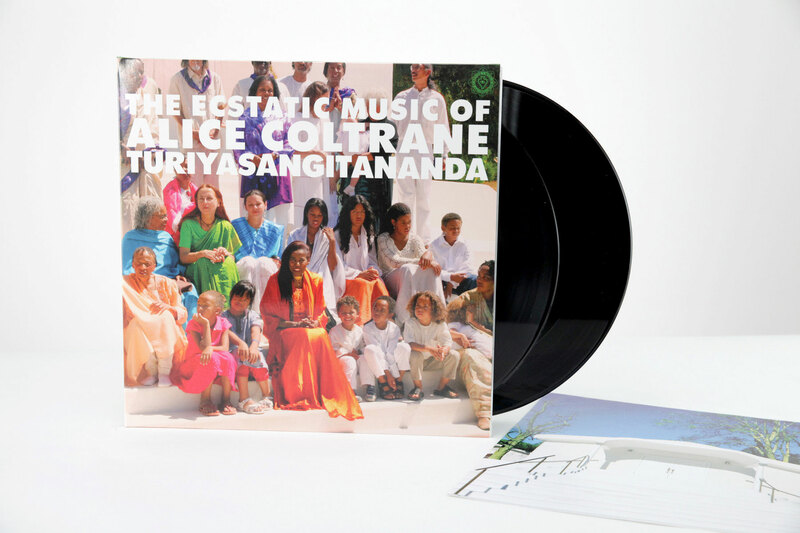 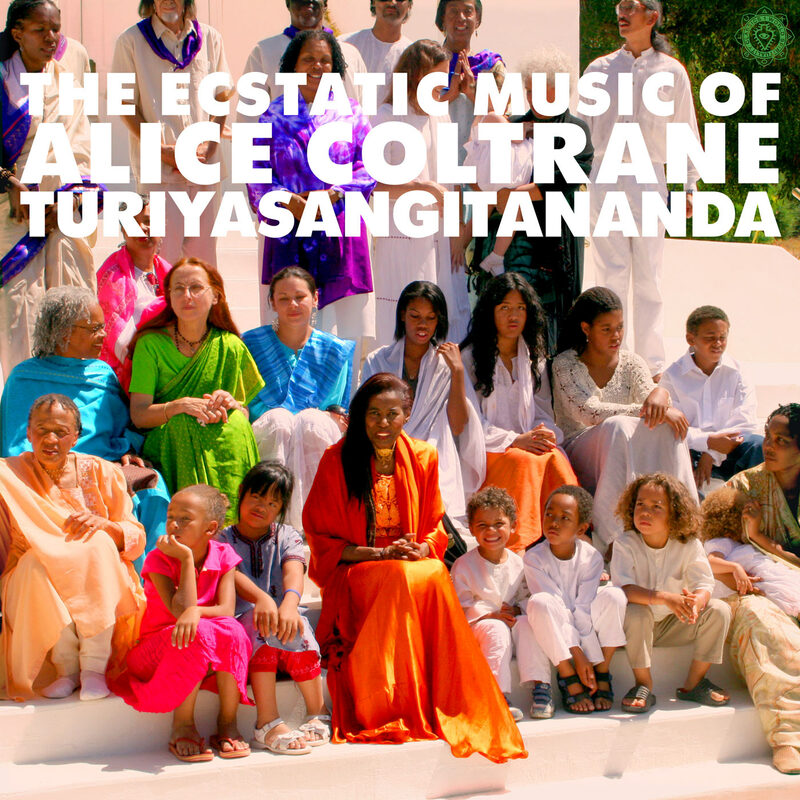 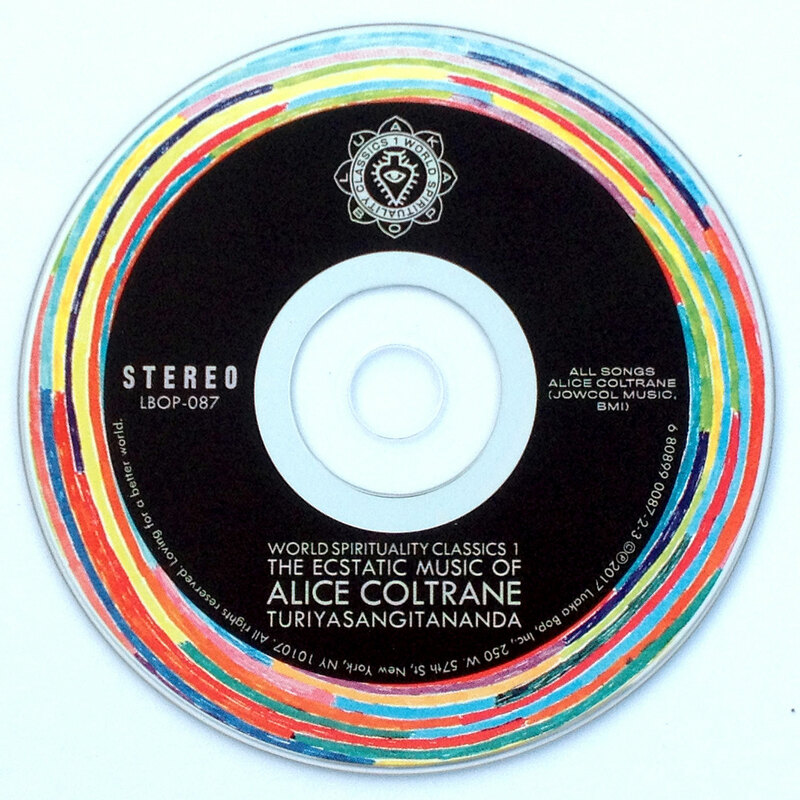 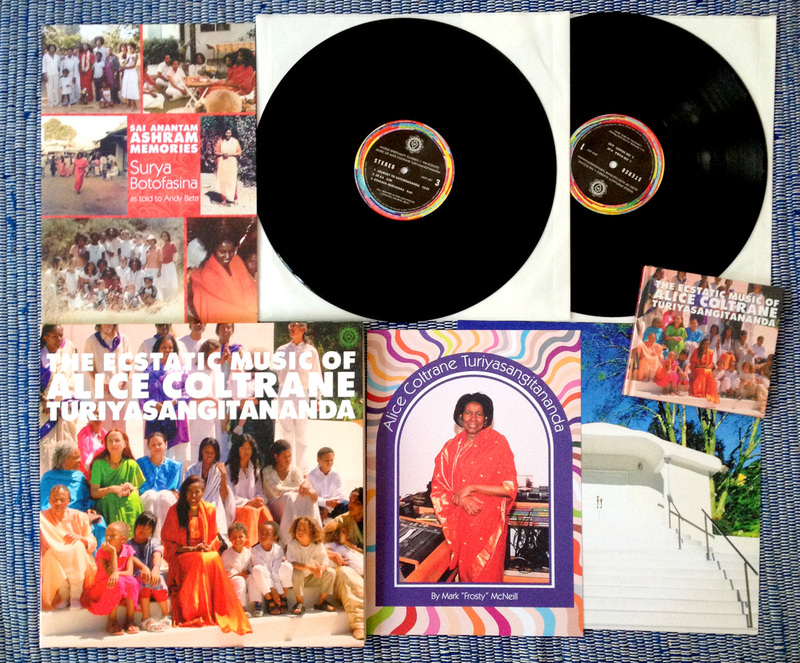 The Ecstatic Music of Alice Coltrane Turiyasangitananda was extremely well received, and was listed at the top of many best of lists for the year 2017 in which it was released. 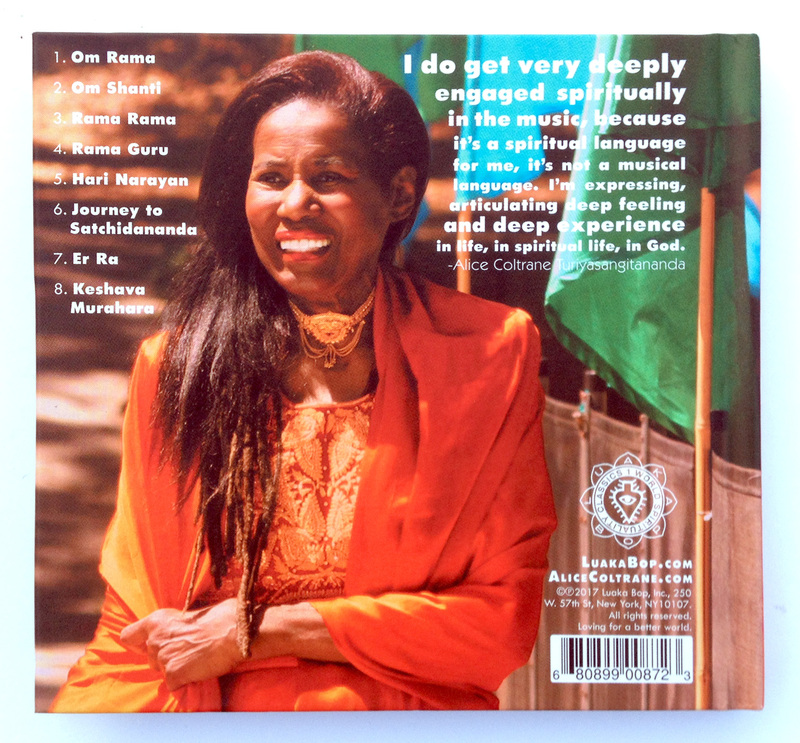 I'm thankful that I was able to be involved in promoting the legacy of an artist who is both often overlooked in her husband's shadow, and who has made some of the most powerful and deep music that I've had the pleasure of listening to and integrating into my life.